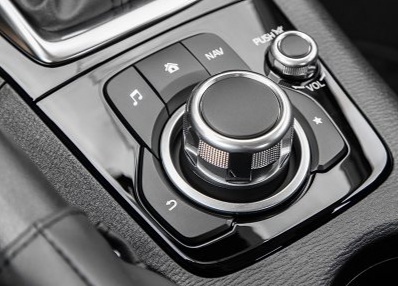 drivingandlife: MAZDA 3 - PARADIGM SHIFTER? 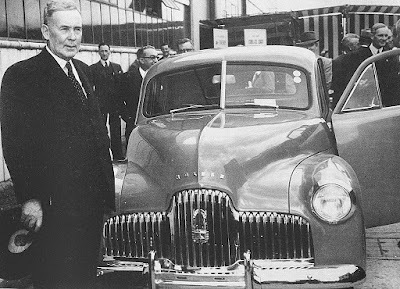 Australians were introduced to the ‘family car’ with the Holden in 1948, launched by none other than Australia’s Prime Minister at the time Ben Chifley. The Holden 48-215 was 4370mm (172in) long, and pretty much established the yardstick for traditional Australian family cars between 1948 and the mid 1980s. 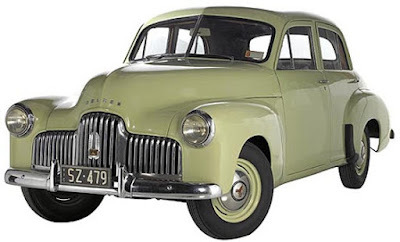 Another interesting sidelight to the size of the regular Australian family car, was that in the 50s and 60s it was commonplace for families to go on vacation, towing a caravan. As leisure pursuits matured there was less need for families to buy 'big' 6 cylinder cars. However, a focus on fuel economy and cost forced families to rethink the overall size of the ‘family car’ and by the year 2000 there began a major shift to smaller cars, like the Toyota Corolla. As of this year, the top three family cars in Australia are now the Hyundai i30, Toyota Corolla and the Mazda 3. 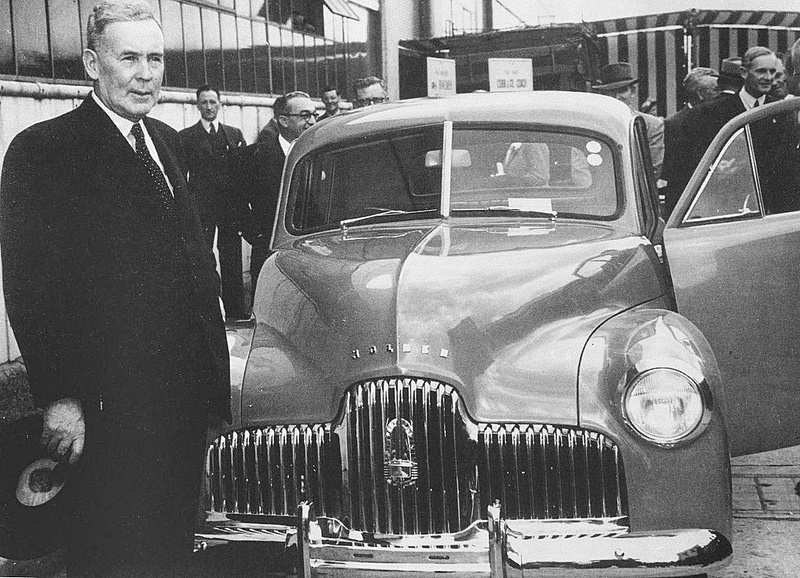 It’s the success of this size car which spelled the deathnell for the larger Holden Commodore and Ford Falcon (which had grown to 5m long (198in), and thus the cessation of manufacturing complete cars in Australia. However, not only is the passenger battle being fought out vigorously by two Japanese and one Korean company; but passenger cars themselves are also the victim of changing dynamics in the family car sector. In most developed global markets, the family car is now as likely to be a compact, or hulking big SUV! But, all three makers I’ve mentioned are covering bases in that sector as well, with very competent and competitive vehicles. 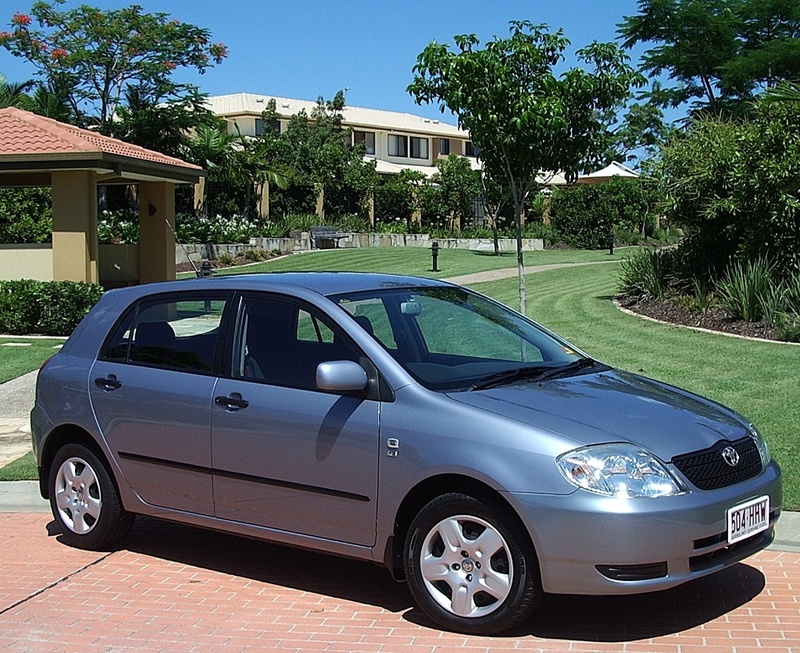 But, back to the Australian passenger car segment, and in the battle for sales honours Corolla keeps recording big numbers thanks to its product and brand identity having been established for 50 years. 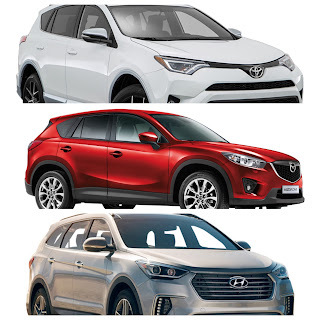 Hyundai is the Toyota’s closest competitor, thanks to the European-designed i30, which is really hauling in the customers with a great value proposition, and a 5 Year warranty. That just leaves Mazda, solidly holding on to third place, whilst the two top brands swap positions month by month. 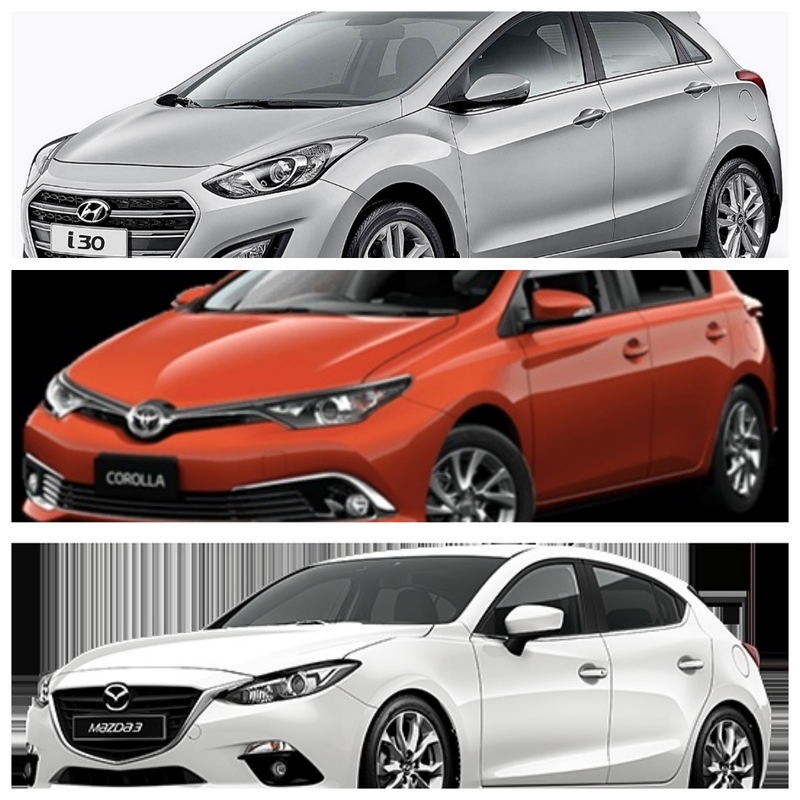 In the seven months to July 2016, the results were Hyundai i30 (25,073); Toyota Corolla (23,971) and Mazda 3 (21,589). However, I think the recently updated and just released Mazda 3 is a game changer, in two ways. First, it’s such a refined package, and combined with a price drop the Mazda 3 could seriously challenge Hyundai and Toyota for leadership. But, even more interesting, local Mazda dealers tell me they have been trading compact and mid-size SUVs on the new Mazda 3! That’s what I mean by a paradigm shifter. 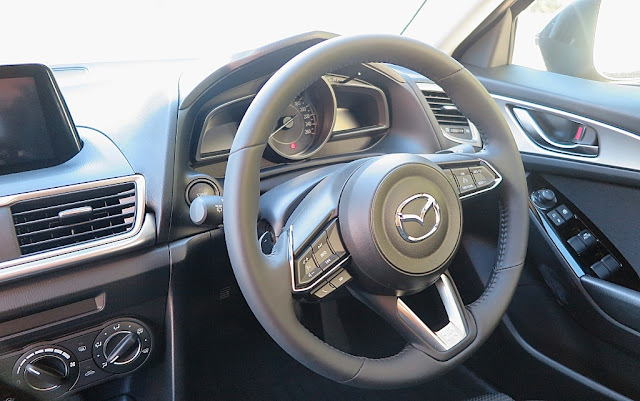 Not only is the new Mazda 3 setting new standards in its sector, but it may also be the reason for a swing away from SUVs back to passenger cars. It is a seriously good car. I go so far as to say, it’s brilliant. The facelift (original launched in 2014) has been improved in every single area. Despite the familiarity of its looks, it is a ‘new’ car. In fact, even after driving it for around 300km, I don’t have to write much about it in any detail. Because, in my humble opinion the automotive press has already said it all! 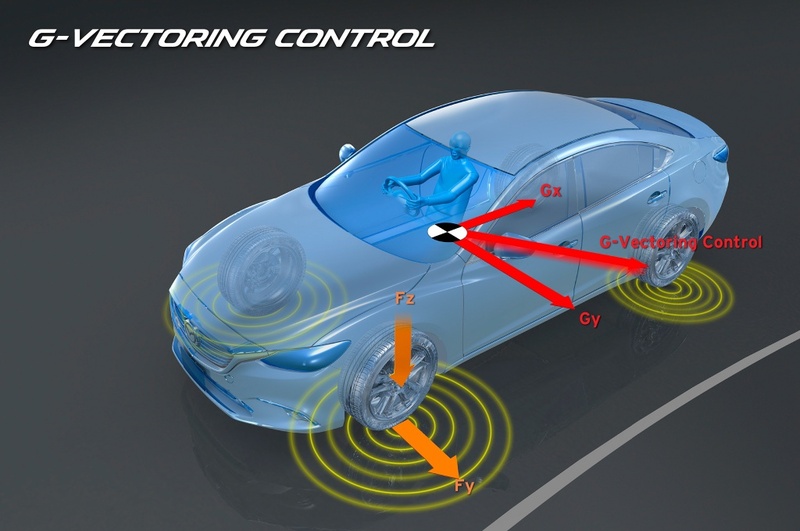 The most talked-about feature of the new car is G-Vectoring Control, which Mazda says is its new vehicle dynamics technology. For the uninitiated lets start with what is a Vector? Among other areas, such as aviation, mathematics, navigation, pathology and genetics, a Vector is also described as any behavioral influence, force or drive – and it’s in this context Mazda describes its new technology. In simple terms G-Vectoring Control uses the engine to influence the handling of the vehicles! This development is based on the revolutionary idea of using the engine to enhance chassis performance. This results in smoother transitions between G-forces. Traditionally, lateral and longitudinal acceleration (G) forces have been controlled separately. GVC is the world’s first technology to adjust engine torque in response to steering inputs in order to control these forces in a uniform manner. This is intended to optimize the vertical loading of each tyre to give smoother vehicle behavior. 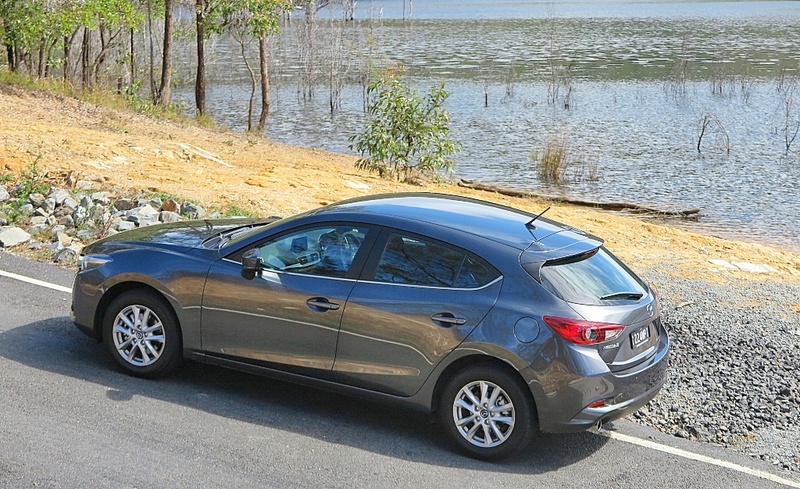 The Mazda 3 turns in beautifully, and at high speed in closing radius corners, the control, feedback and precision of the handling is remarkable. The car responds more directly to just the required amount of input, and lessens the need for constant steering corrections. If Mazda had included nothing else into the new model, GVC by itself is a great added value. The range begins with the price-leading Neo version, and it’s just that – a stripper! Forget it. 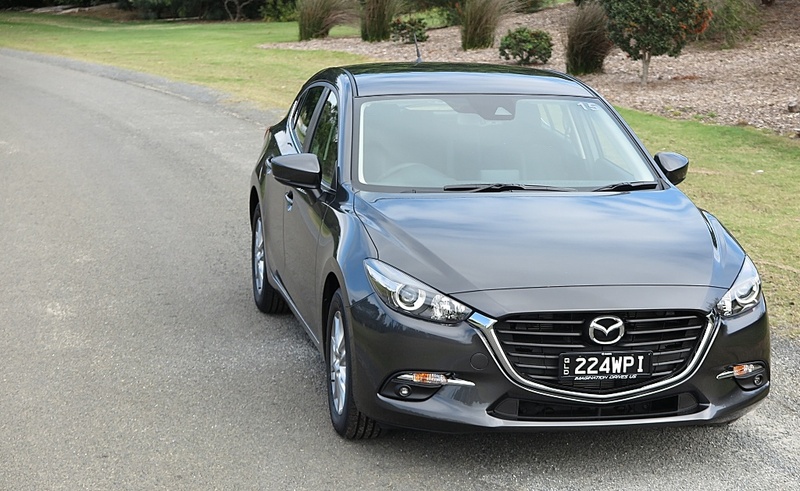 The Mazda 3 range really begins with the car I’ve been driving, the Maxx auto, which starts at AUD$24, 890. From this model onwards you get the Mazda Connectivity offerings - Bluetooth, SatNav, and when connected to your smartphone’s data connection, you can stream services like Pandora music. You also get the Commander module, which is suspiciously similar to Audi’s master control centre, but whatever, it’s simple and it works. Small note of appreciation to the design team: "I LOVE the shape of the steering wheel. It is so good to hold." Not much else to say. The new Mazda 3 is a delightful touring car, handles and rides brilliantly, gets good fuel economy (but not anything startling), and delivers probably the most refined dynamics in its class – end of story.